Fox News said on Monday that it would no longer air an ad calling for President Trump's impeachment, a move that came after Trump seemingly responded to the 60-second spot by attacking the billionaire Democratic donor featured in it on Twitter. "Due to the strong negative reaction to their ad by our viewers, we could not in good conscience take their money," Jack Abernethy, co-president of Fox News, said in a statement. A Fox News spokesperson declined to say exactly how the network measured the negative reaction the ad drew and how it determined the negative reaction met a threshold that necessitated no longer airing it. Television networks have wide latitude about the commercials they air. Ads with totally false claims are occasionally rejected. But Fox's decision -- shelving an ad because viewers complained -- is highly unusual. The ad, produced by a group backed by Democratic megadonor Tom Steyer called Need To Impeach, features Steyer outlining a case for impeaching Trump, framing the president as a "clear and present danger" who is "mentally unstable and armed with nuclear weapons." It directs viewers to sign an online petition. The ad has been running elsewhere on TV, including CNN and MSNBC and some local broadcast TV stations, including ones owned by Fox's parent company. There is also an online component to the ad campaign. The 60-second spot ran on Fox News three times on October 27. After one of the ads aired during "Fox & Friends" that morning, Trump seemingly responded to it, labeling Steyer in a tweet as "wacky & totally unhinged." On Friday, Steyer announced on MSNBC's "All In With Chris Hayes" that Fox News was refusing to air week two of his ad buy. Need To Impeach, which had purchased seven slots to air that week, said in a press release that it was first informed by Fox News of its decision on October 31. A representative for Need To Impeach said the group was told it would be refunded for the second week of its ad buy since none of the ads ran. It's unclear whether Fox News, which said it "could not in good conscience" take money from the group, would refund Need To Impeach for the three ads that did run on its network. The Need To Impeach representative said it has not received any refund thus far. A Fox News spokesperson declined to comment. Brad Deutsch, an attorney representing Need To Impeach who sent a letter to Abernethy on Friday accusing Fox News of breaching its contract, told CNN he believed that Fox News' decision to pull the ad raised larger questions about the network's programming. "Fox News is admitting that they don't provide their viewers with information if the information will upset their audience (i.e., impact their bottom line by losing audience)," Deutsch said in an email. "It makes you wonder whether they are making the same calculations with decision about news content," he continued. "Is Fox setting news judgment aside and censoring news stories because they fear a 'strong negative reaction" from their audiences?" 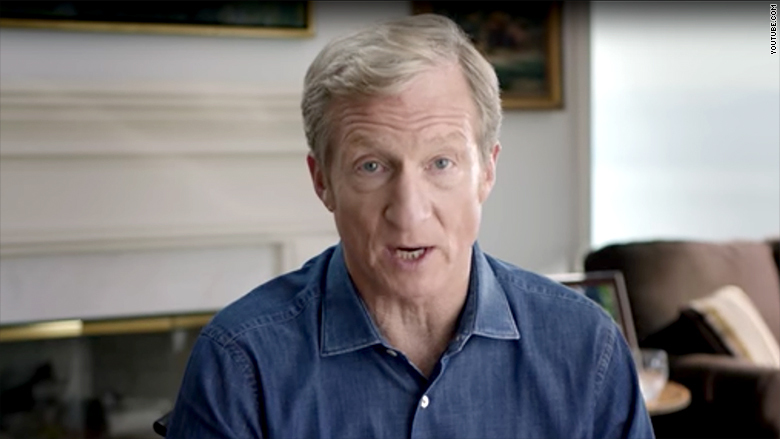 Fox's decision may have ultimately drawn even more attention to Steyer and his ad campaign. He tweeted on Monday: "Fox News trying to silence the 1.7 million who have already signed our impeachment petition." Then he promoted a link to the petition.